Caroline has worked as an Embryologist at the Hull IVF Unit since 1999, relocating from the site at Princess Royal Hospital in 2003. 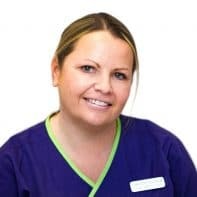 Caroline has a degree in Human Biology and Health Sciences and is a State Registered Clinical Scientist with the Health and Care Professions Council. Caroline completed the postgraduate diploma in Clinical Embryology in 2003. She is a member of The Association of Clinical Embryologists (ACE) and The Institute of Biomedical Scientists. Caroline participates in the ACE continuing professional development (CPD) scheme. She has a particular interest in fertility cryopreservation in male patients under going cancer treatments.